An age long cry amongst gardeners is over things that like to eat our cole crops. That’s cabbage moths, and other critters that like cabbages, collards, broccoli, cauliflower, brussel sprouts, and so forth. As I really don’t like to use chemicals to kill these things (we are eating the veggies that are sprayed), I thought I would share a couple of my favourite ways of dealing with two of the main problems with things that like to kill off my cabbages and broccoli. The first evil little invader is the cut worm. In dealing with this fat, white little grub, it is necessary to understand a little of their living habits. Now, there are many types of cutworms around the world, so this applies to the habits of the ones we have living on the coast. They live by burrowing in the soil, and travel along about a half inch below the surface. And-this is the interesting part- they don’t burrow deeper than an inch when traveling, nor will you find them on the surface of the soil crawling over barriers like many caterpillar types of grubs. They just squirm along till they find something good to eat, and then eat it till it’s dead before they move on. 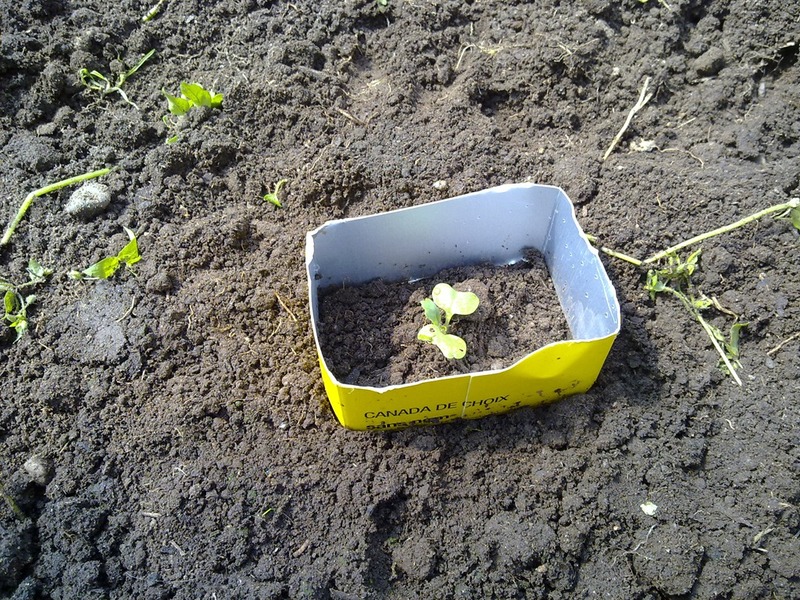 So here is a way my mother taught me to prevent them from getting to your cabbages, or whatever else. *Take a cardboard milk carton or a juice carton, and cut into 1 1/2 inch squares. 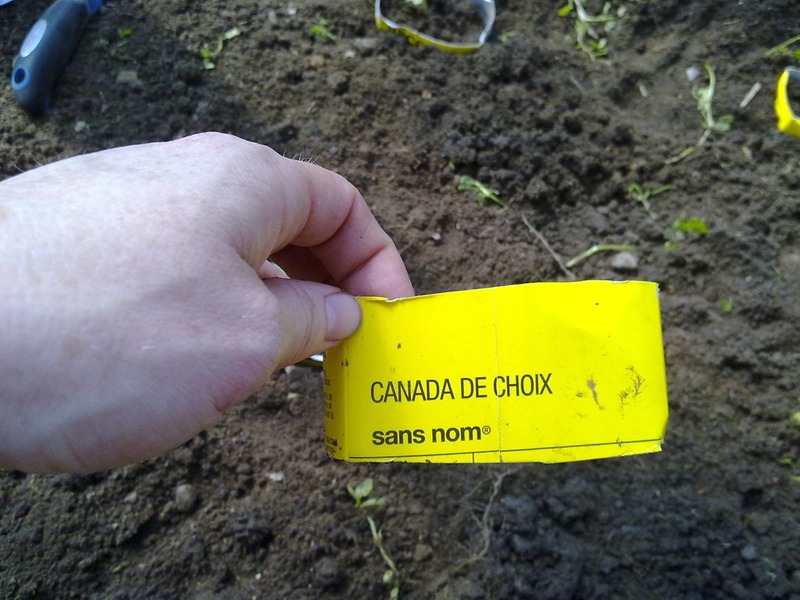 *When you transplant your seedlings out into the garden or green house, press one of these squares down into the soil around your plant, and leave it sticking out about a quarter inch. 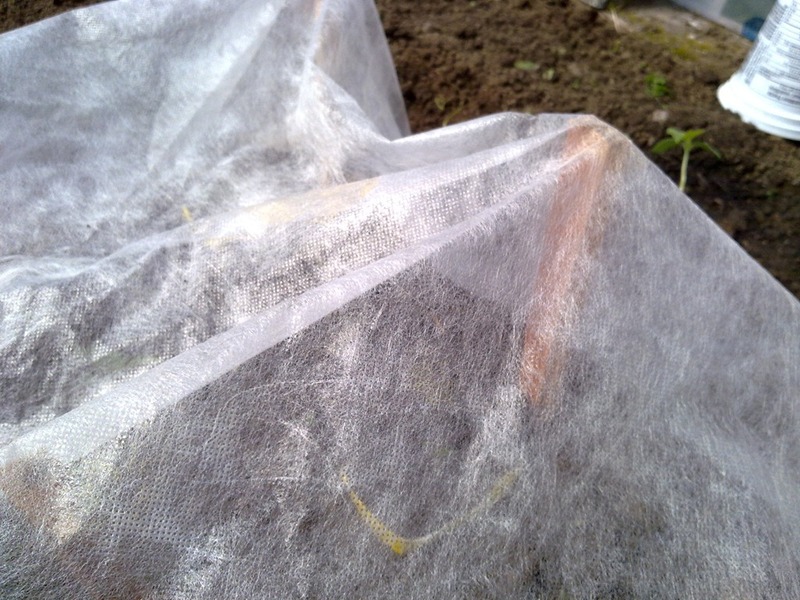 *Little burrowing cut worms will just go around the obstacle, and not be able to get to your tender veggies! To date, as long as I have used this method, I have not lost a cole plant to cut worms. On top of which, at the end of the season, I don’t have to worry about gathering up the little squares, they just slowly disintegrate over the season, and in the fall, they get tilled into the soil. Easy peasy! The other major problem I have here, is the cabbage moth. One or two of these pretty little critters, and a few days later your cabbages are crawling with worms. The best and easiest way I have found to deal with this, is to get floating row covers. You can order them from just about any garden supply catalogue, and many garden centres carry them. I get the light weight type, cut to fit my rows, and cover. Yes, you can get all fancy and get aluminum hoops, or build frames if you like. I put a few sticks (hey, they are free and easy to grab from the wood pile  ) in to help hold the cover up off the ground. You don’t really need to, but I like to, I find it’s easier to deal with when its not stuck in the dirt all the time. Around the edges, I dig a little trench about two inches deep, bury the edges of the cloth, and leave it. * Once in a while I pull up one side of the cover to weed, then rebury the edge. In the fall, you can pull your floating row covers out, hang them over the fence in the back yard, and hose them down. When they are dry, fold and put away in the storage shed for spring. They can be reused for several seasons, which is another plus in my book. I can’t tell you how happy I am with the vegetables that grow under these things! Another natural way of getting rid of pests, and not just the ones listed above, is diatomaceous earth. Sprinkling this powder in and around your plants can not only get rid of your cabbage moth worms, but also things like snails, slugs and ants. You can find this at many gardening centres or order it online. I hope this helps you a little in having a lush and bountiful garden this season! What things do you use to ward off pests in your garden? Share below! 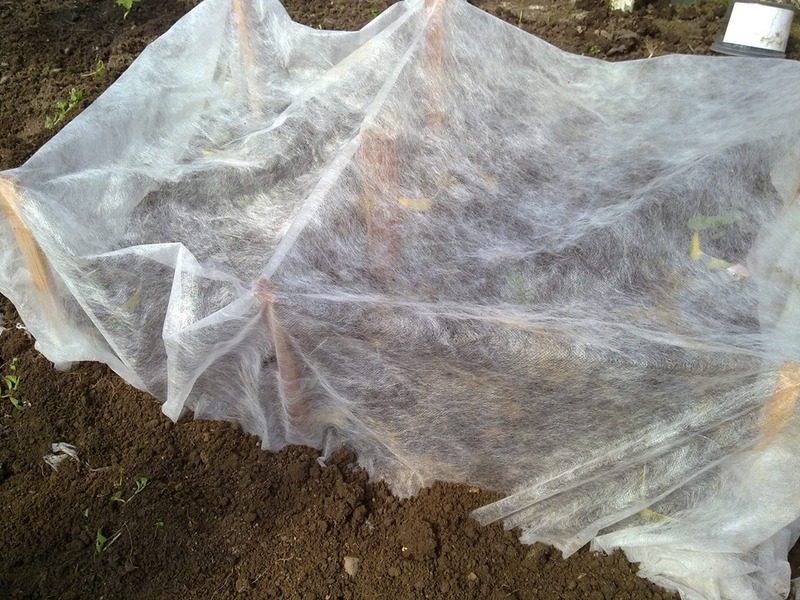 This entry was posted in Garden Pests, How To Rid Cabbage Moths, Organic Gardening and tagged gardening, getting rid of cabbage moths, getting rid of cut worms, getting rid of garden pests, organic gardening. Bookmark the permalink.